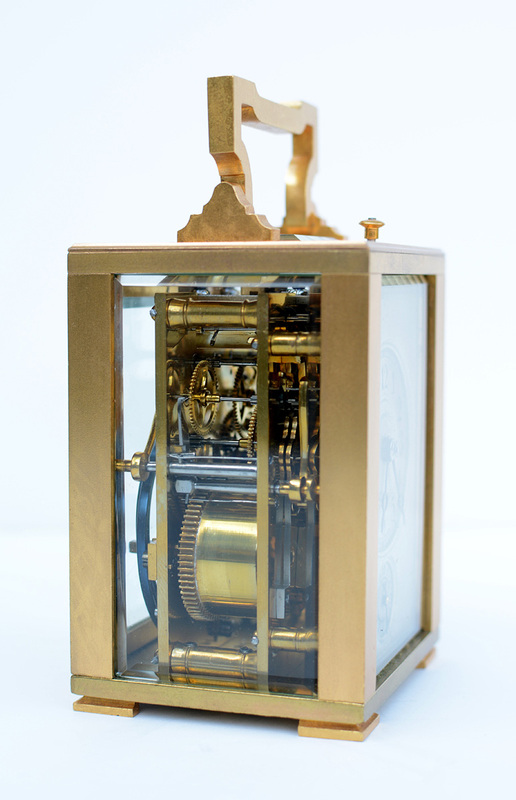 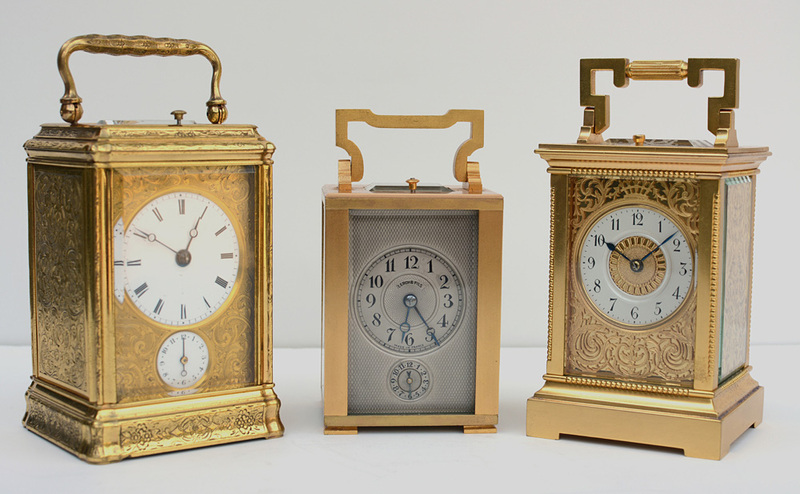 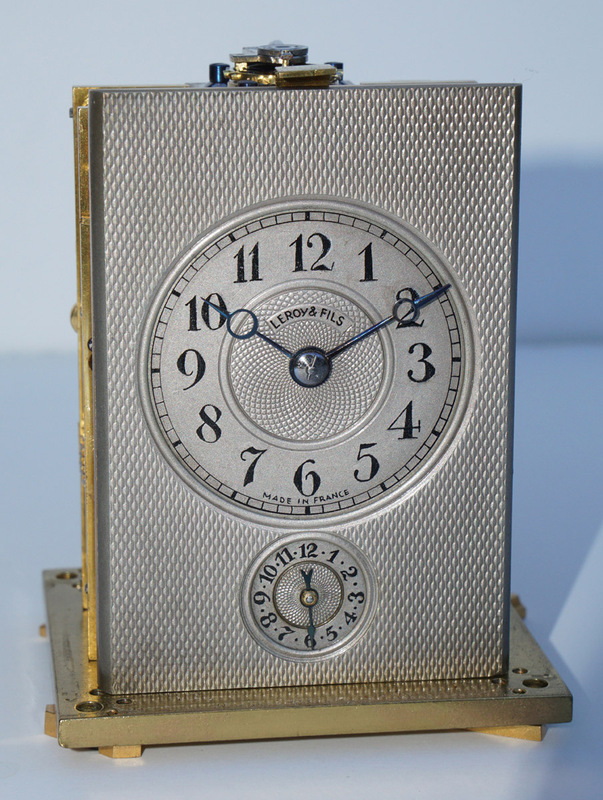 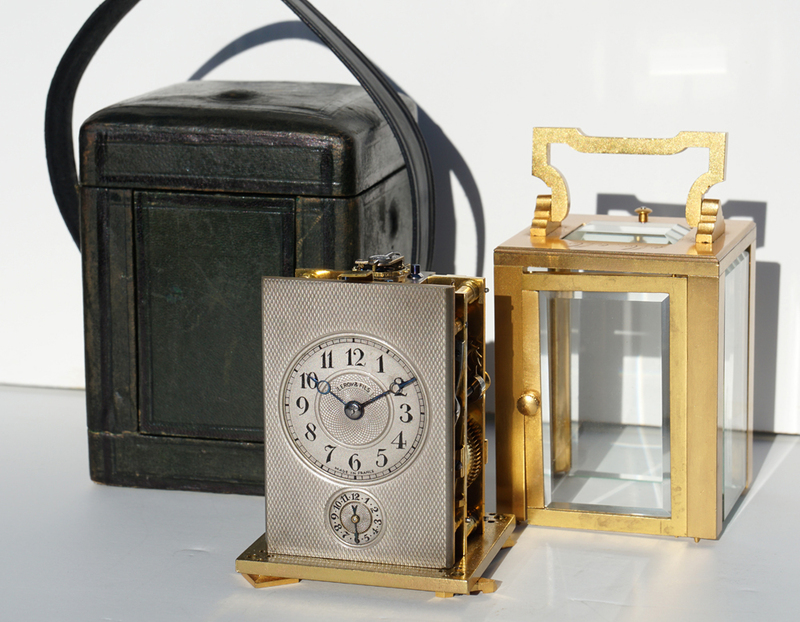 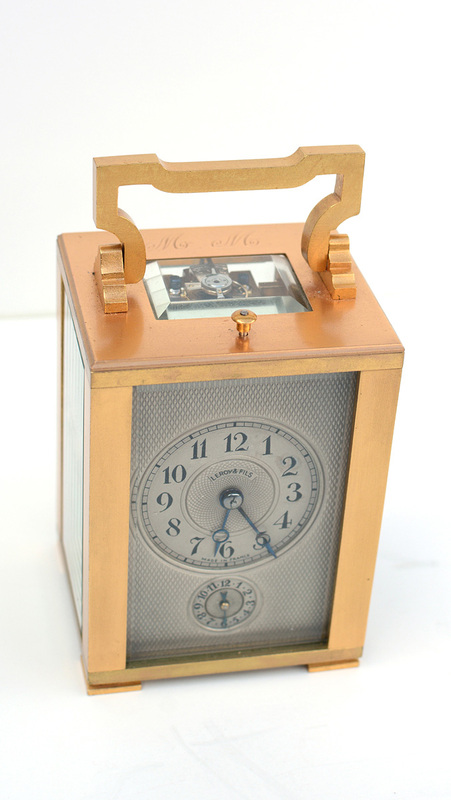 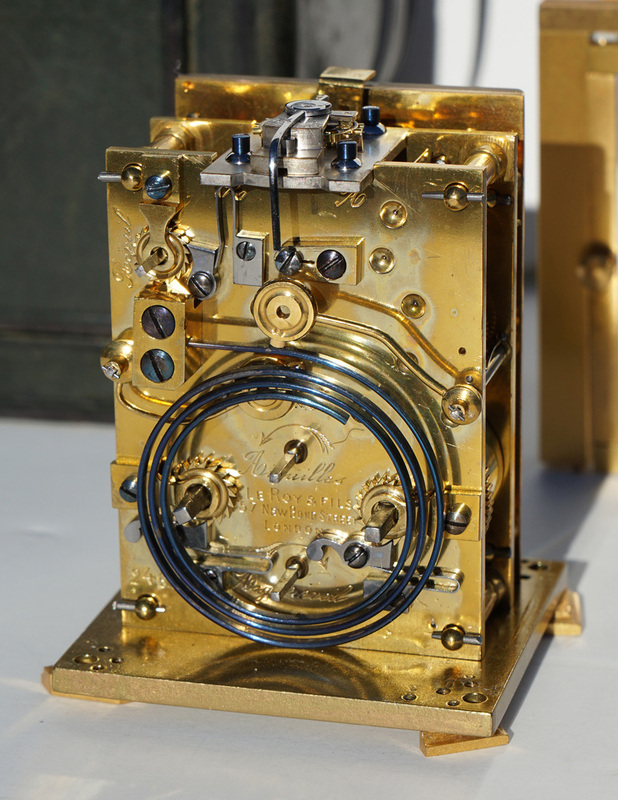 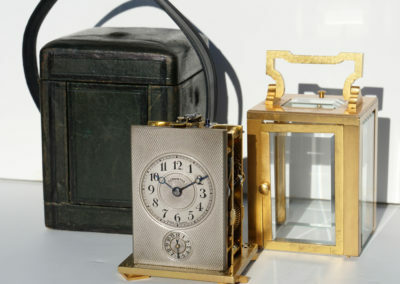 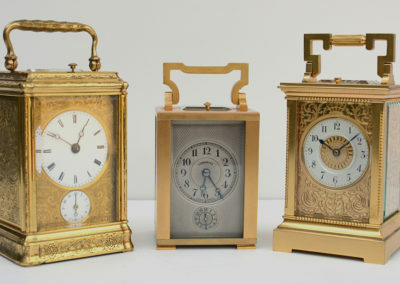 A very high quality ‘Art Deco’ carriage clock was made in France and retailed by LeRoy & Fils, 57 New Bond Street, London. 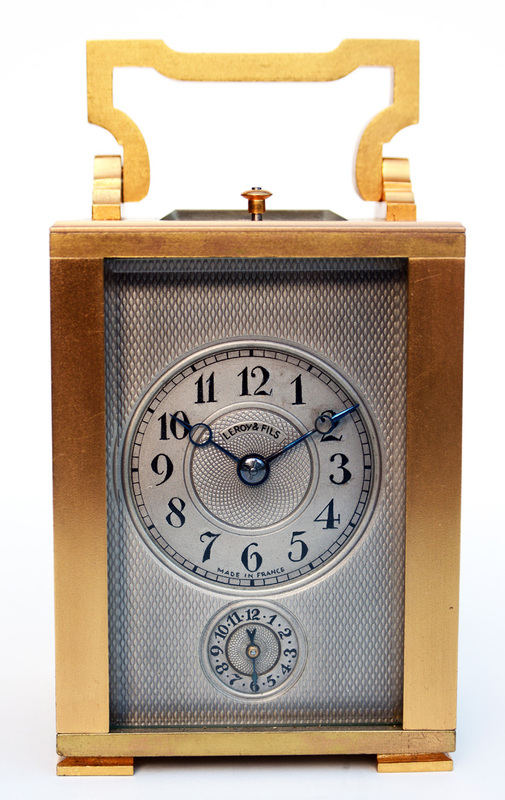 The beautiful matte gold case is complimented by a solid 3mm thick silver engine turned mask and dials for time and alarm. 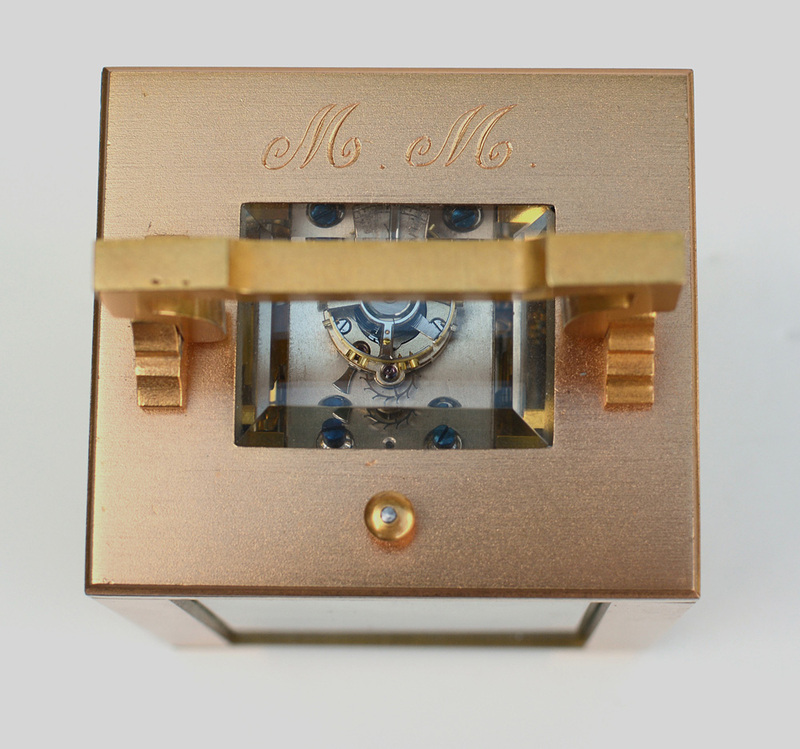 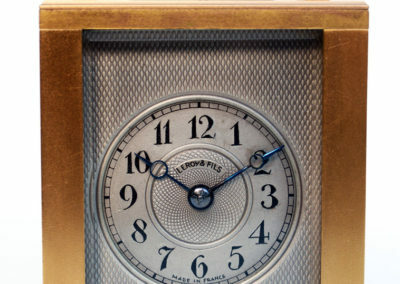 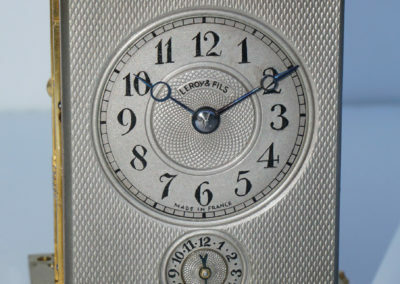 The clock is signed on the dial and on the back plate ‘LEROY & FILS’ and numbered 246. 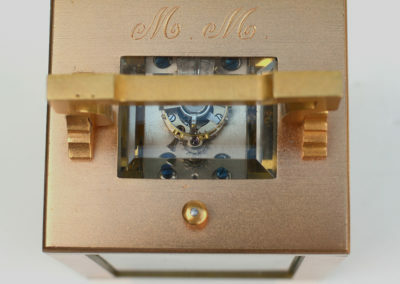 The original gilding is in excellent condition and is engraved ‘M.M.’ on the top and on the original leather travel case. 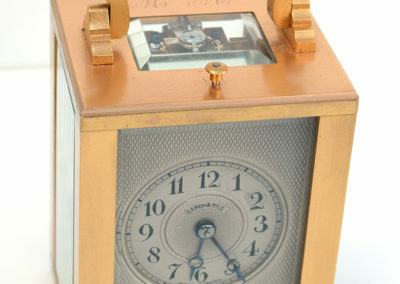 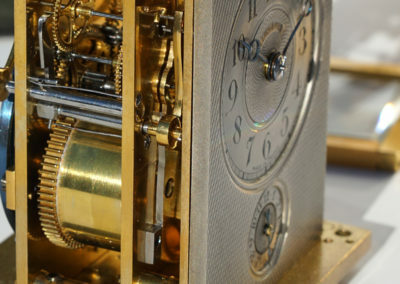 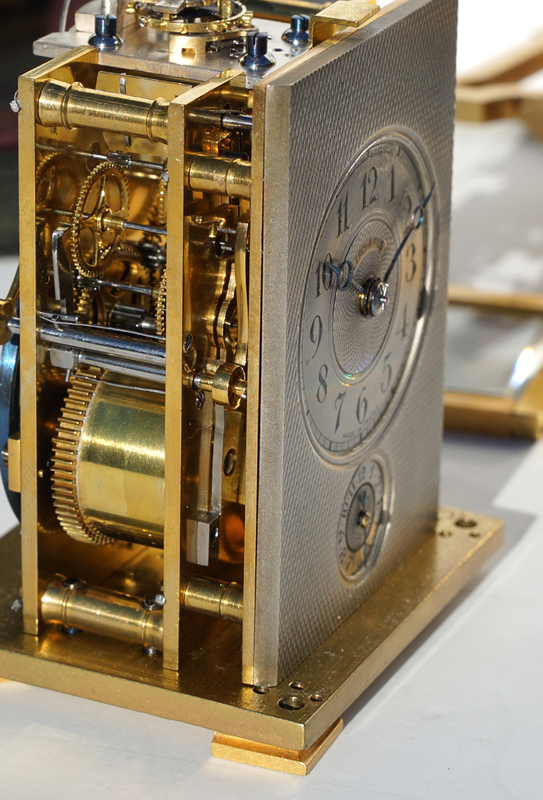 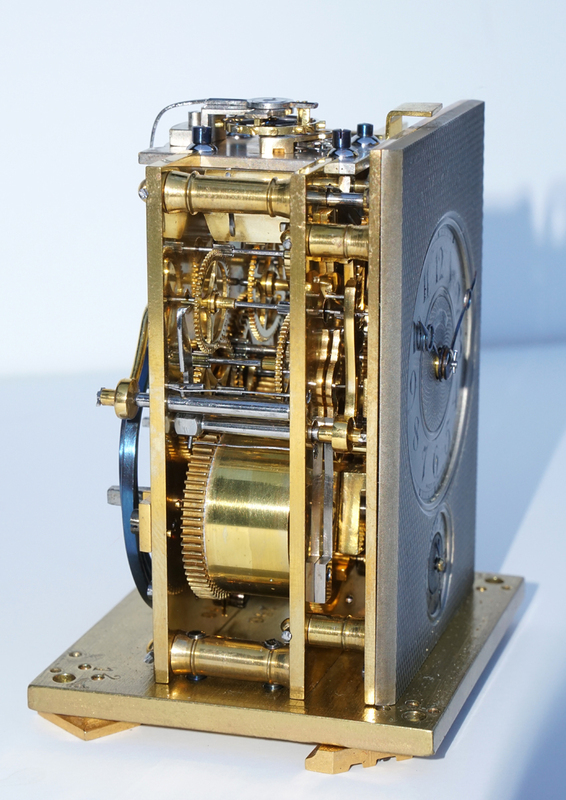 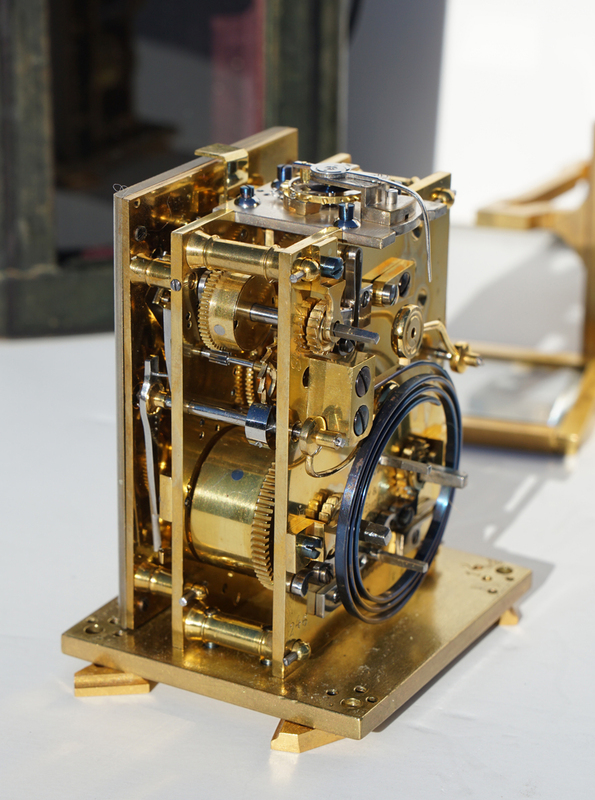 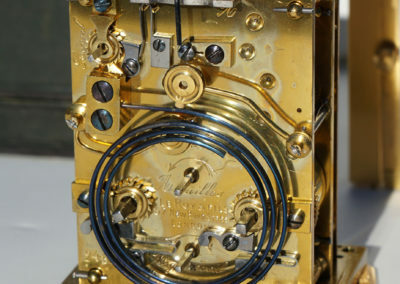 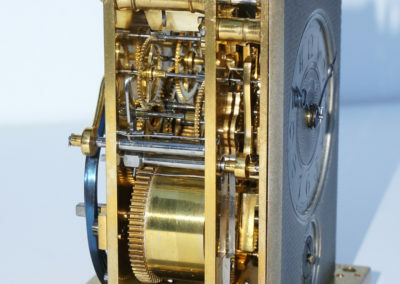 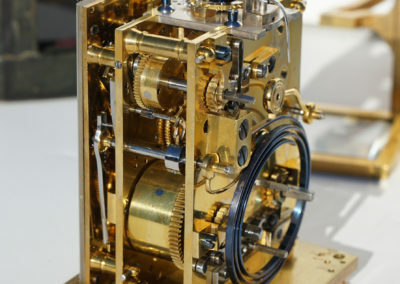 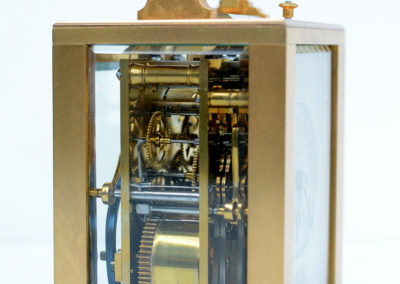 The overall quality of the movement suggests this clock was custom built to order at the time.